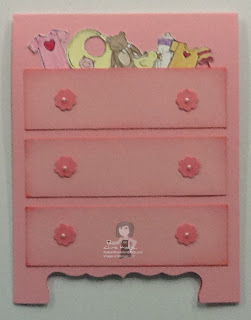 Rubber Room Ramblings: "THAT MICHELLE'S" BABY DRESSER CARD! This is the card "That Michelle" shared with us at our demonstrator get together. It is just so adorable! 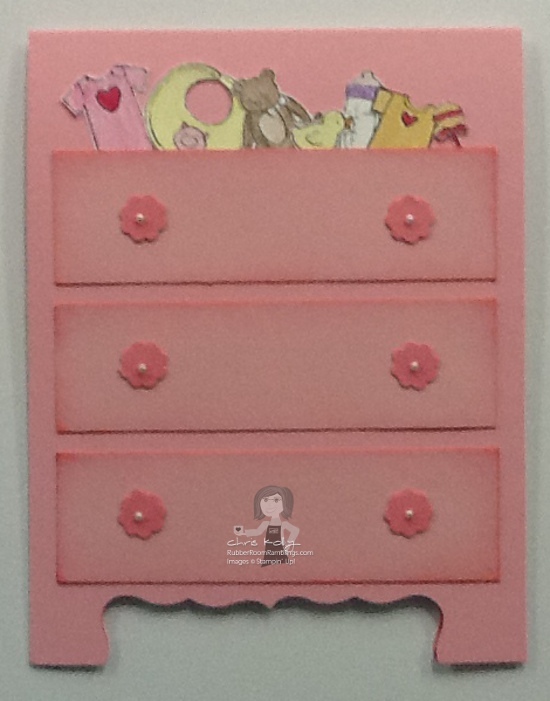 For all the little "goodies" in the top drawer we used the Stampin' Up! Packed For Baby stamp, which is available in the Occasions Mini Catalog. We colored them with Watercolor Pencils and then used the Blender Pen to soften the colors. Then we cut all the little pieces out! ORDER YOUR PACKED FOR BABY STAMP SET HERE!